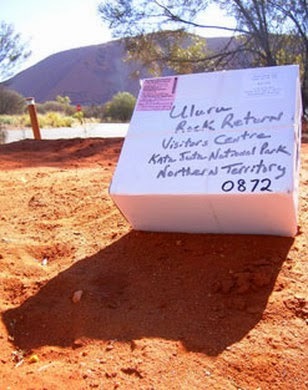 Years ago I heard of the unusual case of the Uluru-Kata Tjuta National Park receiving daily packages containing sorry rocks – small stones posted back with an apology. Many visitors to Uluru pocket small, loose rocks and take them home. Some, after a run of bad luck, become convinced theirs are cursed and believe that returning them will undo a cosmic injustice. For others like me, it’s just the right thing to do. It's a lovely idea but sadly this practice is not unique to Uluru. I've never been to Australia's Red Centre but I, too, carry sorry rock guilt. It began on school holidays in Fiji in 1985, idly thumbing through a resort guest book. It was a tome filled with the hyphenated names of well-heeled folk from all over the world. A bit of a yawn, really, until I spotted it. Right there, firmly pressed into a dog-eared page was an entry from Brooke Shields. At the time, there was no foxier teenage celebrity crush. And now I had proof that she’d stayed and played right here. I looked everywhere for signs of her and, as it turns out, they were literally all over the place. For this was Fiji’s Turtle Island - the same place where, a few years earlier, The Blue Lagoon had been filmed. The next day I set out on a Brooke Shields in Blue Lagoon pilgrimage seeking out hot spots where she had frolicked near-naked. If you’ve seen the movie, you’ll know there are plenty. 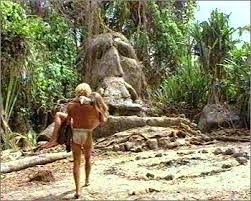 But I was really after The Blue Lagoon’s Angkor Wat, the stone Bogeyman and altar on which Brooke’s character was laid after a dramatic stonefish encounter. After lying down on the altar, the temptation to take a memento from this sacred spot was too much for this spotty teen. It was obvious other pilgrims had already done the same, so I pulled a small piece of the faux-stone from its chicken-wire support and pocketed it. Over the years, it has become my very own sorry rock and I know there are others out there. I’ve decided to personally take mine back to Turtle Island. It’s just the right thing to do, right? Not sure I've got a Shirley-from-A-Country-Practice post in me. Sorry. I didn't know people bring back their "sorry" rocks. Perhaps you should find Brooke Shields and give her your sorry rock ha. @Suzy, she'd probably think I had rocks in my head. Love your thinking, though.